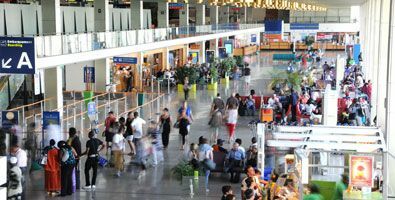 Book Airport Taxi tillé Beauvais (BVA) and Taxipascher.fr, the best value for money of private transport people from all over Île-de-France. Want to book online your driver Book Airport Taxi tillé Beauvais (BVA) today? Just click on the reservation button just below the text to be redirected to our simulator. Each of the drivers Book Airport Taxi tillé Beauvais (BVA) has received specific training, individual and unique. Within moments on board our vehicles carefully chosen for their comfort, safety and efficiency, you will soon realize some of their experience, their helpfulness and their general blamelessness. Our vehicles are equipped for your every need, baby seat or infant, refreshing drink, confectionery, music on the speakers of the vehicle or the ability to charge your device to USB ports, everything is possible! The Book Airport Taxi tillé Beauvais (BVA), a service that fits your every need in terms of transport. Once your booking done quickly via our free simulator, your driver takes into account each of the options that you have applied for in the latter and climbs aboard your private vehicle and headed in your direction, the selected starting point for your care. The entire range of our vehicles are equipped with soft drinks, candy and all kinds of bases options to improve your transportation for a very affordable price, our races starting at just 15 euros.